For our mathematical modeling unit, we worked on the "Circus Act" Problem. In this problem, a circus performer is dropped from a moving Ferris Wheel into a moving cart with a tub of water that is traveling along a track beneath the Ferris Wheel, as pictured here. To find the solution to this problem, we have to find out when, exactly, the performer must be dropped from the wheel to land in the Tub of Water. The model to the left also shows the scale and size of our problem's Ferris Wheel. The water level is 8 feet from the ground, and moves 15 feet per second along a 240 long track. The Ferris Wheel itself is 115 feet tall (including the stand), has a diameter of 100 feet, and completes an entire turn every 40 seconds. 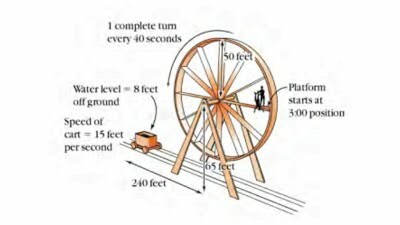 The Ferris Wheel Problem was very long and complex, that challenged through a number of maths, including but not limited to calculus, trigonometry, and algebra. It was a really fun problem to solve, and I think it was as complex as the mathematical modeling problems I will have to solve in my intro math courses. I definitely believe that the Ferris Wheel Problem should become a mainstay of math at HTHCV like Alice for Exponential Growth. 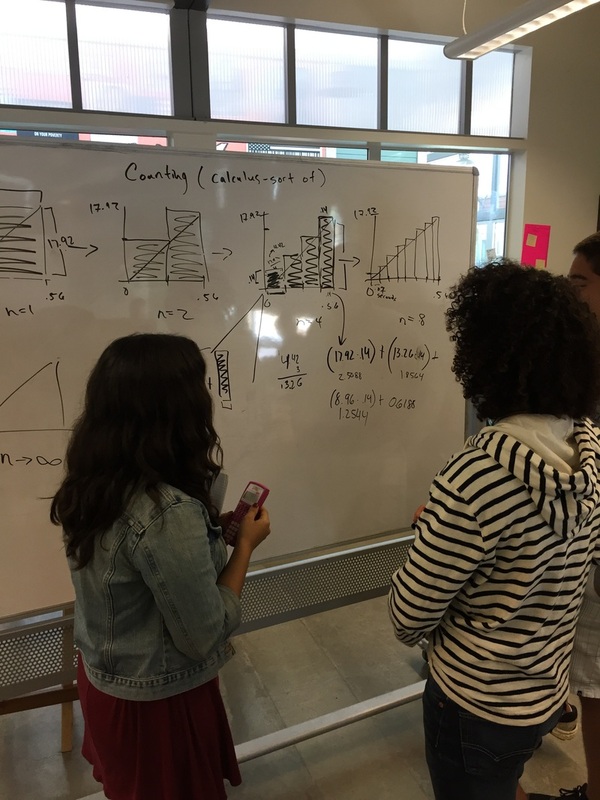 I think I was very engaged and on task the entire time we were able to work on the Ferris Wheel Problem in class. I think I was so committed to this problem because I found it so entertaining and super interesting. I also believe that this is the process that mathematicians use for real world math, so I am also thankful to the Ferris Wheel Problem for giving me a glimpse into what a potential research project in college might look like with a professor.